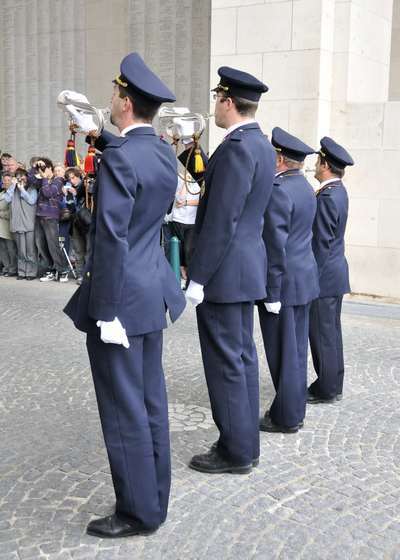 The Menin Gate is a memorial to missing British soldiers. Styled on a triumphal Roman arch it was completed in July 1927. Inscribed on panels inside the arch are the names of 54,896 missing British soldiers killed at Ypres between August 1914 and August 1917. 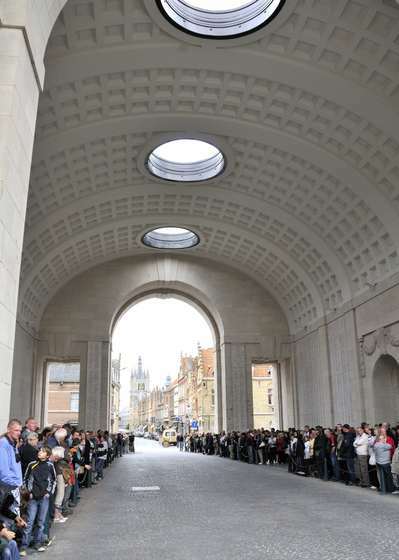 Incredibly, the arch was not large enough to record all the names of the missing and a further 34,888 names were inscribed on a wall at the nearby Tyne Cot cemetery. I have not been to any of the Normandy or Belgium battlegrounds but hope to one day. 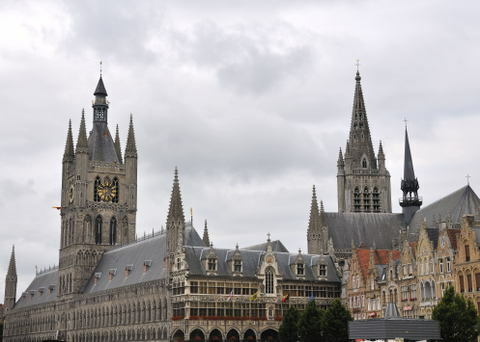 The photos above are excellent and give me a sense of what Ypres was like. My grandfather fought just outside Ypres at thd 2nd Battle in April 1915 and was wounded during the first gas attack of the war. He describes what it was like and walking through bombed out Yypres on his way to medical evacuation during that time. One of his brother's was killed later in the war and his name is inscribed on the Menin Gate. My Dad has a photo of him pointing to his name on the memorial taken 20 years ago during his visit overseas. Another brother was killed later in the Somme and his name is on the Vimy Memorial. Again..I hope to visit these places one day with my boys Allister and William. I have more information that he passed along to me on my site. Thanks for the interesting BLOG items related to this and the other WW1 and WW2 items. They are fascinating to read and see through your photos.